blog.HalloweenAdventure.com | Latest News from the Costumes Trend FrontLines! : Make your own: Candy Cane Reindeer! Make your own: Candy Cane Reindeer! First cut your pipe cleaner in half. Now lay the two halves side by side in front of you on the table. Slide one down a little so that when you grasp it in the middle you have a long and short end on either side. Now wrap the pipe cleaner around the hook part of the candy cane and twist together on top. Bend the pipe cleaners into antler shapes. Glue your nose on the tip of the candy cane! You can also tie small ribbons with jingle bells on. 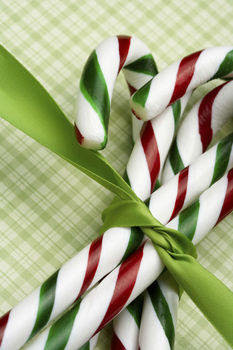 We also use the multi-colored candy canes as well as the flavored ones and make antlers to match! !